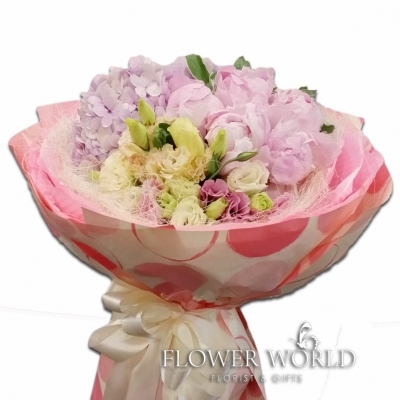 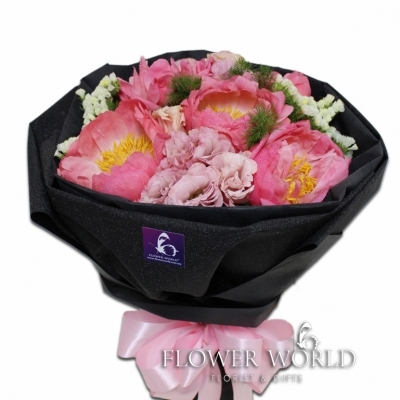 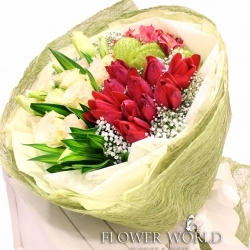 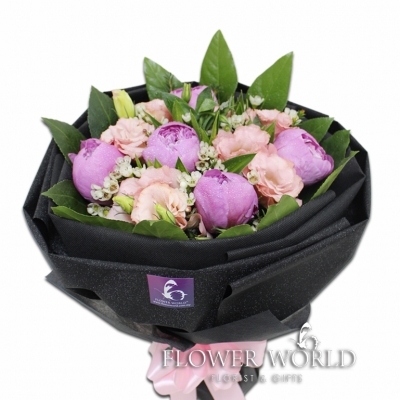 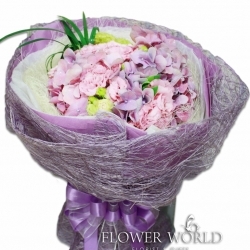 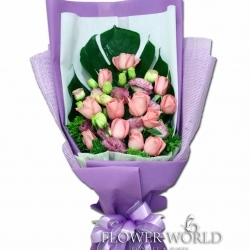 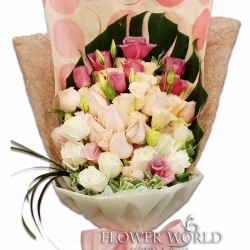 5 pink imported peonies and pink eustomas arranged in a round style bouquet. 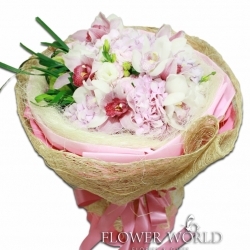 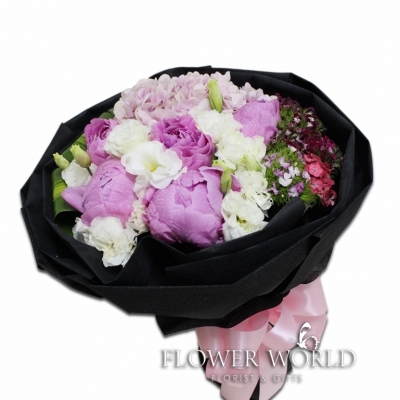 5 pink imported peonies and champagne eustomas arranged with white wax flower in a round bouquet. 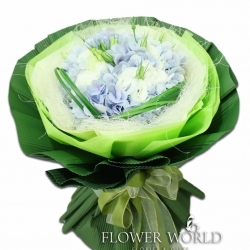 Pastel blue hydrangeas accompanied with cream eustomas arranged in a round bouquet and wrapped with modern green wrapping paper.